There is nothing more special than the smile of a child. The Christmas Morning Shoppe helps put smiles on the neediest of our children. From providing family dinners to putting toys under the Christmas tree, we lend a hand with dignity. Through caring guidance and giving gifts that serve the mind, body, and spirit. There are many ways to participate as an individual, family, corporation, church, school, or club. YOU can help spread Christmas cheer to our neighbors in need this holiday season. Let us know how you want to help. Let us know how you want to help, call, email, or stop by, and we’ll help you get started! The Goal: To provide neighbors in need dignity while helping provide Christmas gifts under the tree to prevent them from diverting their limited resources to gifts, or going without completely. Greer Relief has hosted a Christmas program since the ’90s, but in recent years felt there was something more to be done. The Adopt-A-Family program was a traditional one-way-giving Christmas assistance program. We gave our neighbors in need a “Wish List” for their family, and the sponsors went shopping. Deep down we knew there had to be a better way to bring special Christmas cheer to our neediest families, but also give them dignity. We struggled for a few years on how to create an innovative program that sends our neighbors down a path toward stability. Out of that came our next step program, RENEW: Reaching Every Neighbor Every Way. RENEW offers tools to prevent further crisis. The model was inspired by The Dream Center of Pickens County “Santa Shoppe.” They offered their time and advice for us to further develop our program. Greer Relief has continued to strive toward giving neighbors a hand up and not a hand out, and now the processes have evolved to reflect that belief. The program starts with registration and referral. Participants are from both Greer Relief and partner agency Greer Community Ministries. They attend classes either at Greer Relief or with community partners to earn RENEW Rewards. RENEW classes include budgeting, job resources, nutrition, arts/crafts, yoga, walking club, etc. Classes are scheduled based on volunteer availability and participant interest. RENEW Rewards are turned in for an appointment at the Christmas Morning Shoppe. Parents participate in the selection of gifts for their family, thus shifting the joy of giving and sense of accomplishment to them. Greer Relief believes the ability to shop for your own child creates empowerment and dignity, two very important steps toward self-sufficiency. So what does all of this mean? We need help stocking the Shoppe! We have general lists of popular toys and needed items for children. While the gifts will still be going to children and families in need, they are not for a specific individual or family. Host a toy drive. Fill out our sponsor form and Greer Relief can provide wish lists based on age and gender. 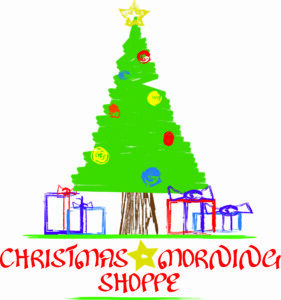 Make a monetary donation to the Christmas Morning Shoppe. Greer Relief can purchase needed items. Click here to donation online. Volunteer! Be an elf in the Christmas Morning Shoppe! We need a volunteer for each parent/guardian shopper. Click here to sign up online. Donate gift wrapping supplies. The Shoppe has gift wrapping stations. 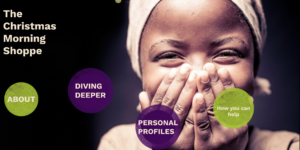 Thank you for your help to bring dignity to giving #hereinGreer. for helping put a smile on the face of 185 children, in 91 families, on Christmas morning. 108 parents/guardians took 448 RENEW classes to earn a shopping appointment in our Christmas Morning Shoppe. Each child received gifts valued at $225 for a Grand Total of $33,500. 79 Volunteers served 227.75 hours in the Christmas Morning Shoppe. This program is a partnership with Greer Community Ministries.